Whether you’re promoting your latest offer with a pop up banner or advertising your services at an event with a pop up exhibition stand, your display needs to hit the mark each and every time. 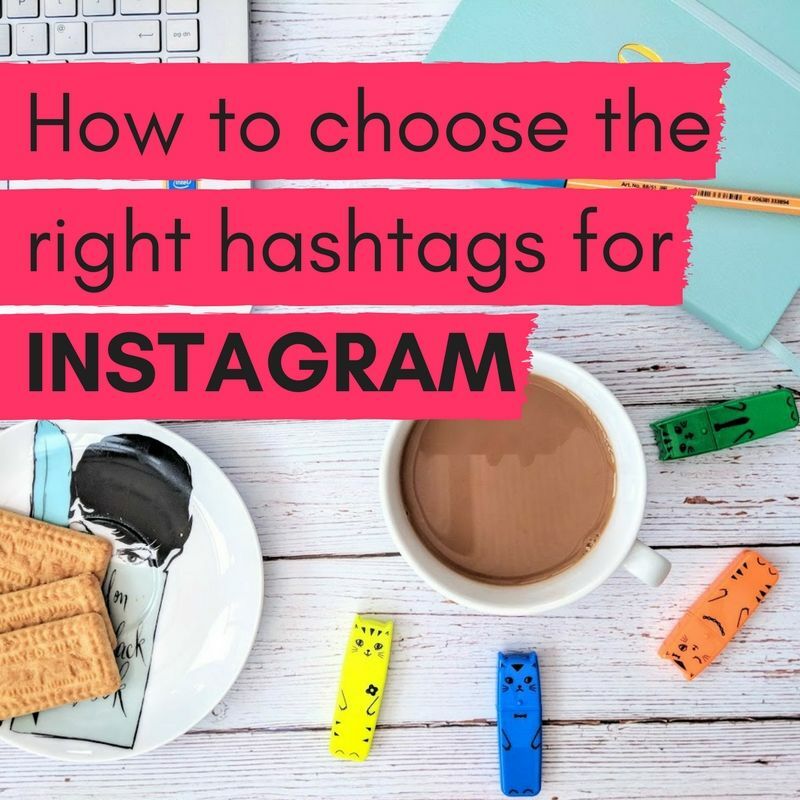 First impressions mean everything and whether you’re an established brand or a start-up, the smallest of mistakes can give a bad impression, cause confusion among your audience, put your authenticity into question and they could even have a negative impact on your bottom line. You’re perhaps wondering why you’re still reading this when we’ve failed to spell ‘spelling’ correctly. See, spelling matters. Always check your spelling. And if for whatever reason you can’t check it, ask somebody else to. Perhaps it was the ‘tasty contradiction’ of Miller’s Genuine Draft that was responsible for this mistake? 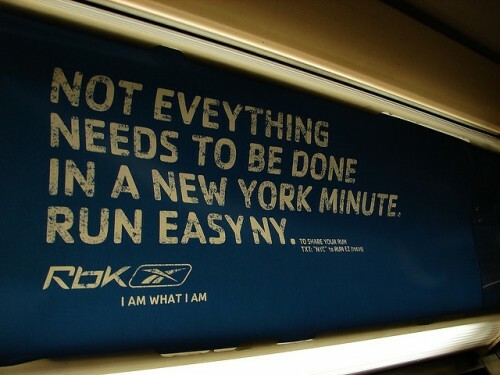 And we’re going to guess that Reebok’s ad was written in a New York minute…? Always read and re-read what you’ve written. Don’t let your use of punctuation, or lack of it, hinder the message you want to communicate. 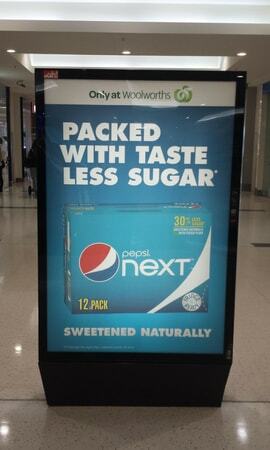 Tasteless sugar? It seems that the excitement of Pepsi’s naturally sweetened beverage caused somebody to forget that they needed punctuation! 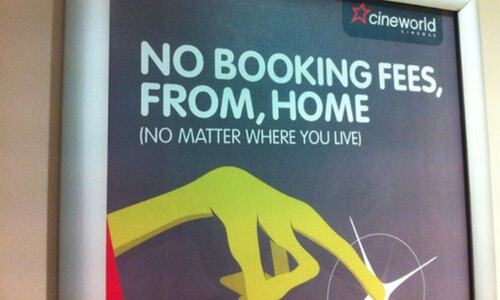 And then there’s this Cineworld poster. Rogue punctuation can really distract from a message. Reading your copy aloud, or at least reading it in your head, is the perfect way to make sure that it flows well and is easily understood by your audience. Not doing this could result in you not picking up on repetition or, in this case, a misplaced word. Even if you’re confident in your ability to spot mistakes, it’s always best to ask somebody to take a second look at your copy. Whether they spot that ‘contradiction’ has been spelt incorrectly or they find nothing at all, another pair of eyes is always valuable. Lastly, we recommend checking your work and checking it again – it’s a good habit to get into. Check for spelling, punctuation and grammar, and read it, re-read it, and read it aloud. Always check your copy before sending it off to print. *These headings were intentionally written incorrectly… we’re not that silly!